An internship is a great opportunity to experience what it’s like working in the ‘real world’. It can help you confirm your aspirations and career goals, or make you realise that actually, you don’t want to be an Auditor. This week is my second week interning in London at a real estate company. I’ve been working in the Africa team, one of the newest teams in the office, so it’s exciting being apart of something so fresh and innovative. A few of my peers have been asking me about my internship, so I thought I would also share my intern experience with you guys too! How did you get an internship? My brother and sister-in-law network a lot and because of that they know a lot of people in a lot of industries. They were able to put me in contact with someone quite high up in their field, who asked me to send a cover letter and CV. 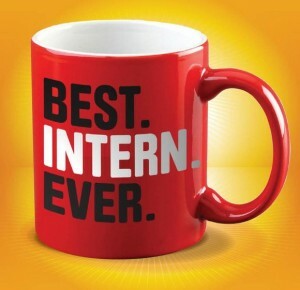 After a few emails discussing which area I’d like to intern in, we confirmed a start date and that was that! What is your favourite thing about it so far? It may be clichéd but I love the fact that I am learning so much! I have to do quite a bit of research into companies, which means sourcing information (such as financial statements, news articles), reading it and analysing it for data which I deem helpful for the project I’m working on. I also love that I’ve been able to talk to many employees in other areas who have not only been very welcoming, but also very helpful in their advice. What is your least favourite things about it so far? I’m not one for early starts and I’m not used to working long hours, so that’s definitely the hardest thing I’ve had to overcome. Waking up early is something that’s definitely on my To-do-list during the next year, not only so I can get more done during the day but also so I can be more prepared for when I start a full-time job (whenever that may be!). What pieces of advice have employees given you? One piece of advice I’ve been given from several different colleagues is actually a very simple one. They’ve all told me to not jump into work and to take as much time as I can before getting into a full-time career. When you’re young and have big aspirations, I suppose it’s easy to think “I’ll work for 10 years and then take a few years out to travel”, but in reality it isn’t like that. So I intend to take their advice and take as much time as I can before getting into work!